Dalplex members hitting the gym Friday afternoon had a lot more exercise options than usual to choose from thanks to the opening of the new $23.3-million fitness centre expansion. 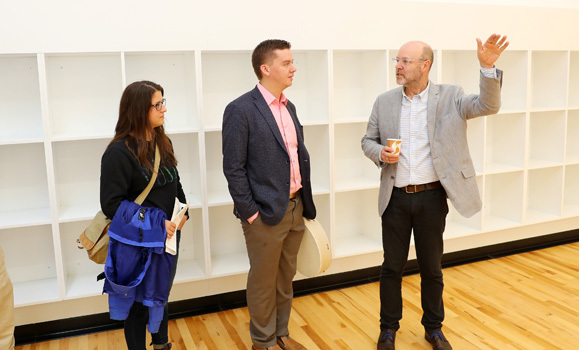 Dalhousie officially unlocked the doors to the much-anticipated fitness centre at a launch event earlier in the day, welcoming the Dal community, Dalplex members and neighbours into the modern, light-filled space for the first time. 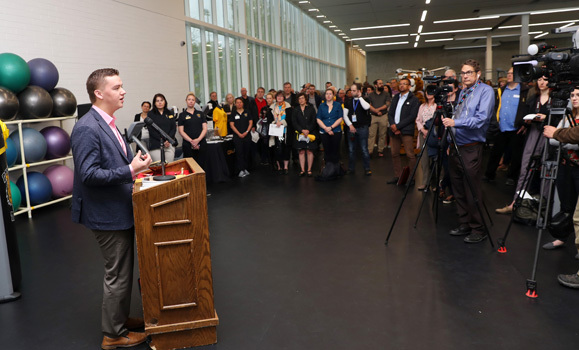 More than 200 people attended the opening ceremony in the fitness hall on the second floor, against a backdrop of dozens of new cardio machines and strength-training equipment. The hall is just one of many roomy new spaces in the nearly 57,000-square-foot facility. Four purpose-built fitness studios on the second floor will provide welcome focus for devotees of yoga and other fitness classes, while three new locker rooms offer more privacy to guests. 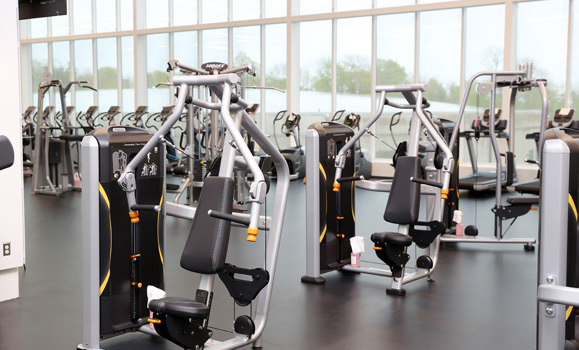 High-performance training areas and the large, wide-open fitness hall — with 74 new pieces of cardio equipment — will be an asset not just to Dalplex members and the general student population, but also Dal’s 14 varsity and 26 club teams. 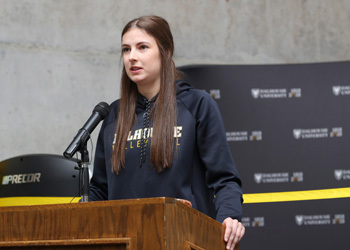 Victoria Hayworth, a third-year Medical Sciences student and member of the Tigers women’s volleyball team, sees even bigger achievements ahead for her team thanks to the new facility. Dalhousie Elder in Residence Geri Musqua-Leblanc began Friday’s event with an opening blessing and a smudging ceremony, during which Aaron Propser, the Dalhousie Student Union’s current president and a member of Eskasoni First Nation, sang the Mi’kmaq Honour Song. The facility is the culmination of years of hard work, from the drawing up of designs in the early days to recent finishing touches on the wood-and-concrete- clad interiors and greenery outside. 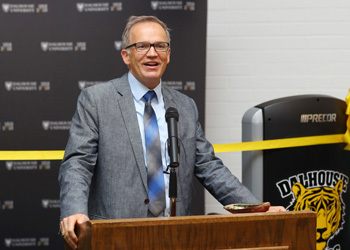 Tim Maloney, executive director of Athletics and Recreation at Dal and MC at Friday’s event, paid tribute to the hard work of individuals in Facilities Management, Athletics and Recreation, Ancillary Services and Dal’s senior administration, among others. 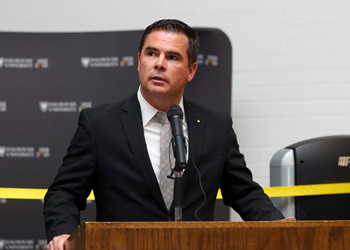 “It’s been a truly collaborative effort that has required a ton of passion, commitment and relentless effort,” said Maloney, adding that the new Dalplex fitness centre sets Dal on a “whole new trajectory” and sets it apart from “virtually every other university in this country” as it celebrates its 200th anniversary. In his remarks, Prosper thanked those students who, back in 2010, agreed to fund the facility through a new student fee, set to be implemented this fall ($180 per year for full-time students). 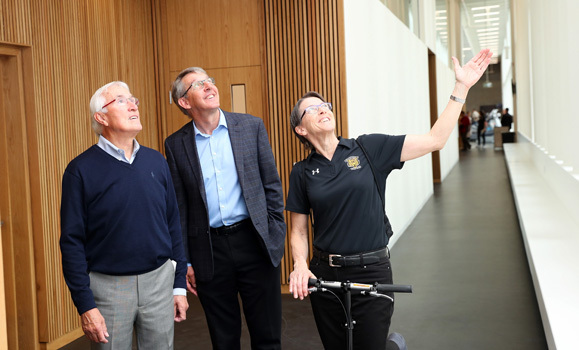 Following the cutting of the ribbon — strung between two exercise machines, and cut by Dr. Florizone, Maloney, Prosper and Dal Board Chair Larry Stordy — attendees at the opening were free to explore the centre, which gives Dalplex a new entrance and connects directly to all of its traditional facilities like the pool, fieldhouse and more. 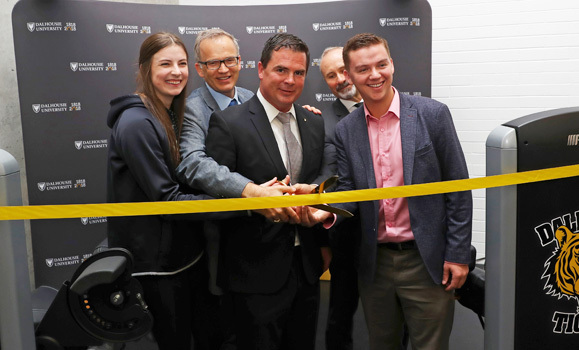 With a range of sustainability features targeting LEED Gold standard classification and an airy feel, the opening of the climate-controlled fitness centre addition signifies an exciting new era for fitness and athletics at Dal.